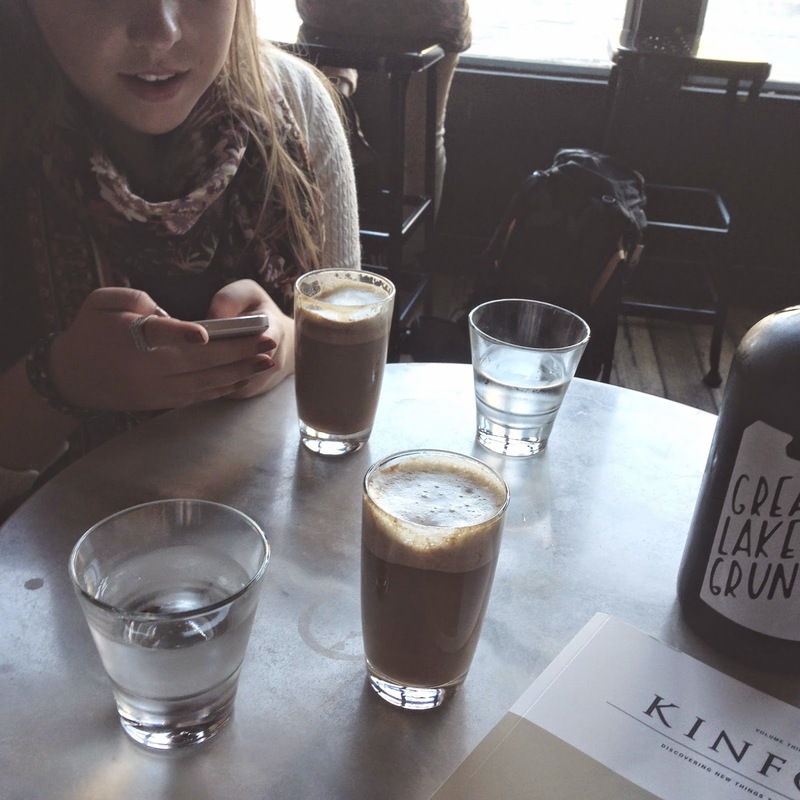 With Meredith and I both loving our daily cups of coffee, and her traveling around Michigan more than I have, she brought up lavender lattes. And who cant resist coffee right? 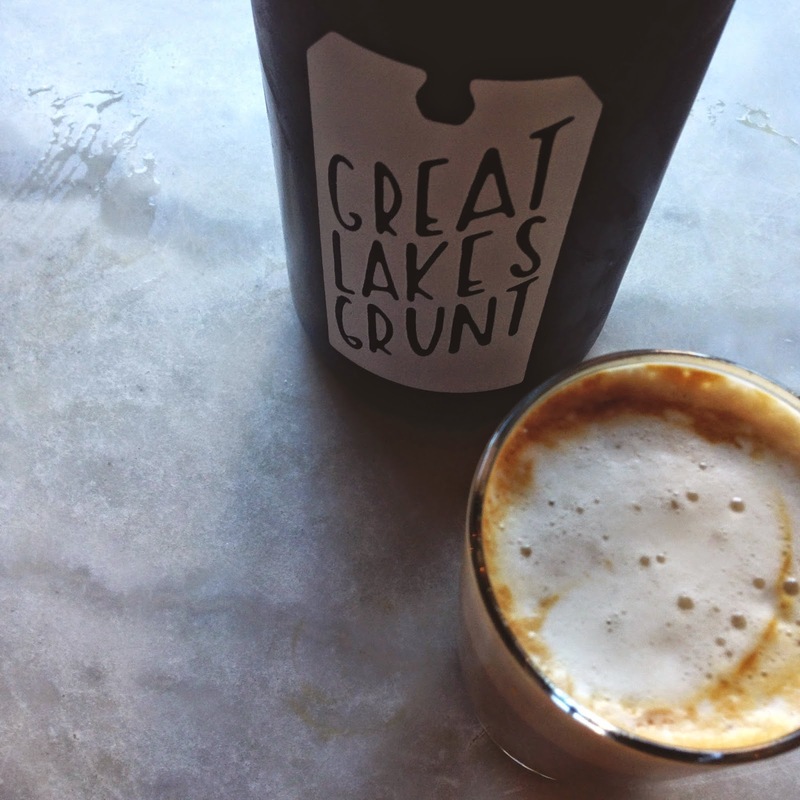 When she told me about The Great Lakes Coffee Roasting Company, I didn't know what to expect. When we walked into this little coffee shop, I was amazed. It seems smaller on the outside but it was huge!!! The atmosphere was calm and tranquil. The baristas greeted us as we walked in, asking "how may we serve you today". With having not just a full menu of coffee drinks but sodas and alcoholic beverages as well, I couldn't contain myself. The atmosphere of this place was so homey and warm. Everyone having conversations with each other, it was really nice to see everyone smiling. 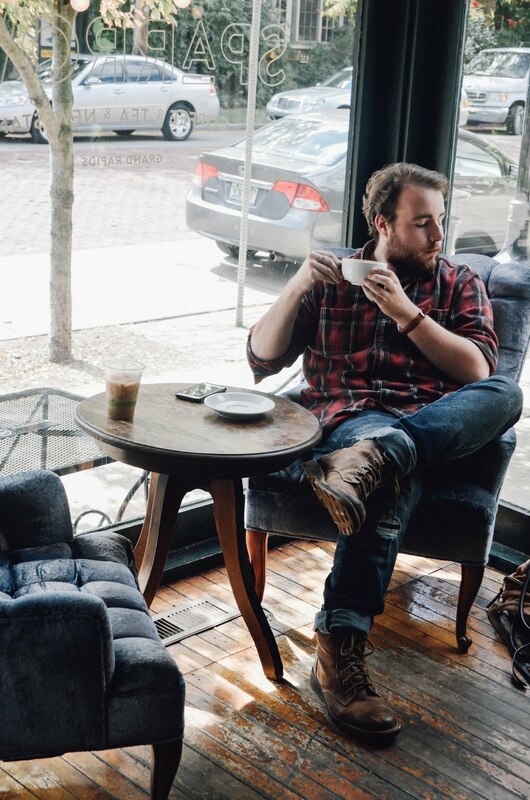 The style of the coffee shop was rustic but full of light. The large windows letting the light stream in, with the wooden and marble table tops and chairs, it was simply amazing. 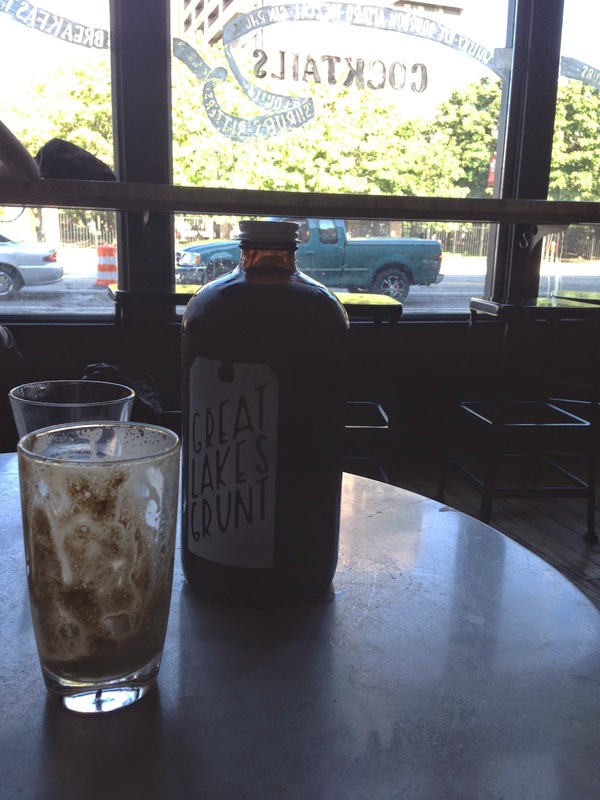 The Great Lakes Brewing Company brews their own cold brewed coffee (when I found that out...there was no stopping me from buying some). We ordered our lavender lattes and we sat down. We spent about a good hour in this amazing place and I didn't want to leave. We sat by the wine booth, where I listened to the worker talk about all of the wine selections to an elderly couple and it really felt like home. 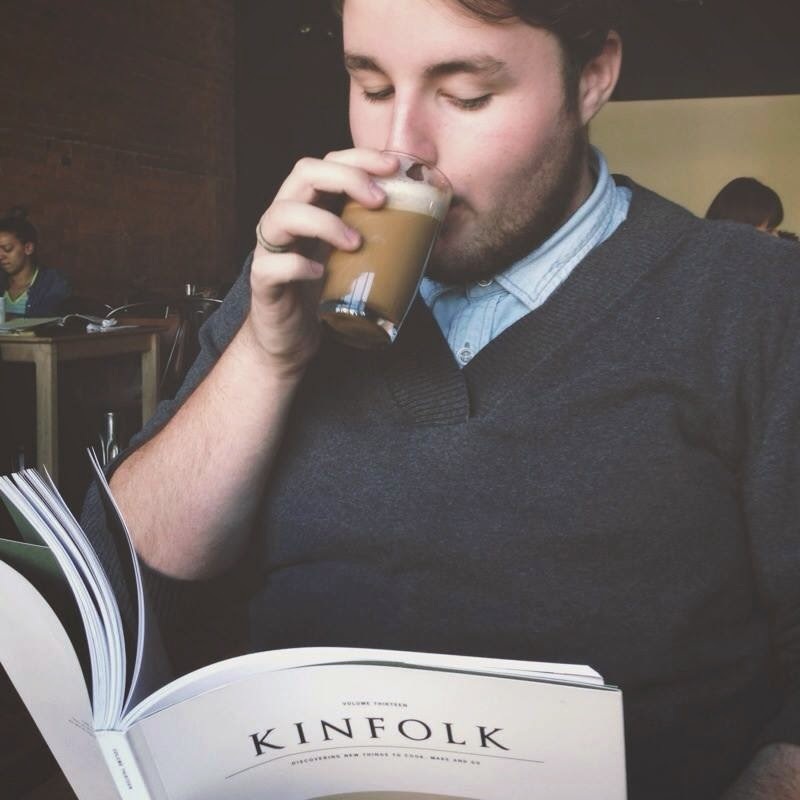 Naturally with me being a lover of magazines, I pulled out the latest issue of Kinfolk and started to read as I sipped my latte. This being one of my favorite moments of the day, I'm eagerly wanting to go back. 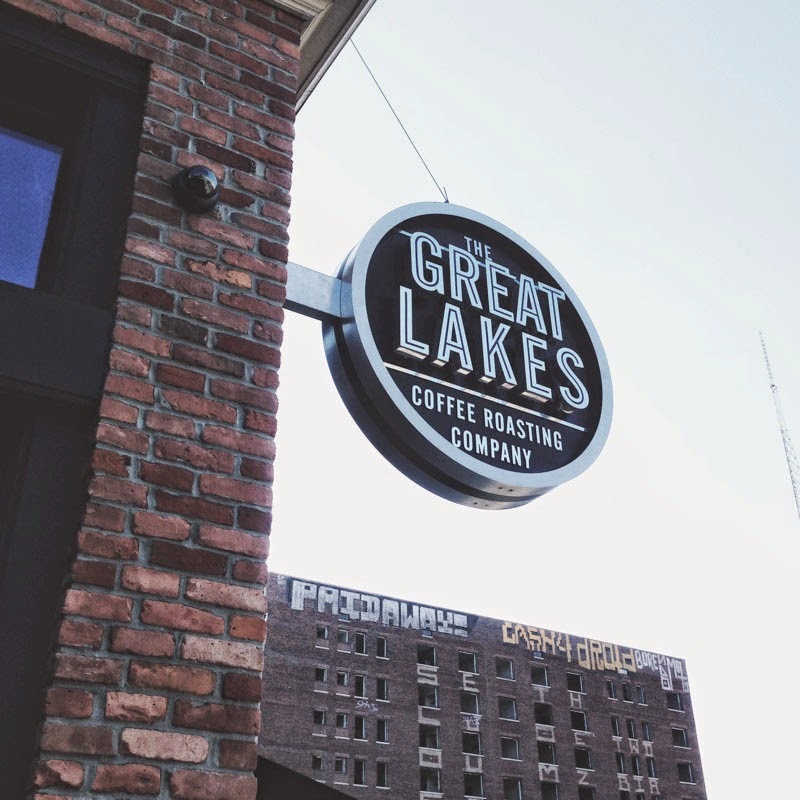 If anyone is ever in the Detroit area, go to this wonderful coffee shop and grab a latte or a drink and sit and relax, you wont regret it. Part 3 will be out tomorrow!!! !